"The most effective form of nonspecific immune stimulation is macrophage activation." 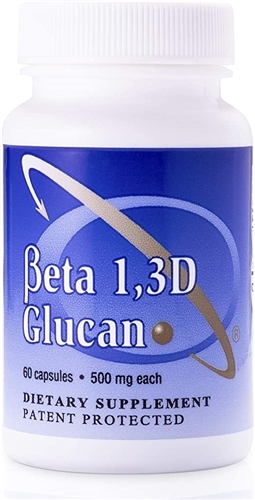 What is Beta 1, 3-D Glucan? Glucan 300® helps naturally modulate a healthy immune system to provide support and balance. Unlike other, harsher dietary immune supplements,Glucan 300® is naturally derived and scientifically backed. Over 50 years of research from prestigious universities around the world document the benefits of Beta-1, 3D Glucan. Transfer Point, Inc. is the only company that offers a Beta glucan with a minimum of 83% Beta-1, 3D glucan content, and no harmful contaminants. Every batch is independently tested and a Certificate of Analysis is provided and available upon request. Research proves that purity matters when it comes to biological activity. No other Beta glucan can match the effectiveness that has made Transfer Point’s Glucan 300® the respected name in immune support. Average Customer Review: 5 of 5 Total Reviews: 477 Write a review. Too early to tell if it's working. Amazing product and amazingly fast and reliable service from Ancient Elements. Also the best price anywhere for this quality product. The Beta Glucan came sooner than I expected. That was very good since I had run out of it. Ordering was easy. Thank you. I have faith in this product as I have used it before. I am trying to follow Bill Anderson’s diet protocol in all his advice. When I see my cancer doctor in March for more tests hopefully it will show improvement. Get Started Today... Get Started Now! Disclaimer: Information on this site is provided for informational purposes and is not meant to substitute for the advice provided by your own physician or other medical professional. You should not use the information contained herein for diagnosing or treating a health problem or disease. If you have or suspect that you have a medical problem, contact your health care provider. Information and statements regarding dietary supplements have not been evaluated by the Food and Drug Administration (FDA) and are not intended to diagnose, treat, cure, or prevent any disease.